Habitat - Dry to moist woods, hammocks, mixed woods, bluffs. 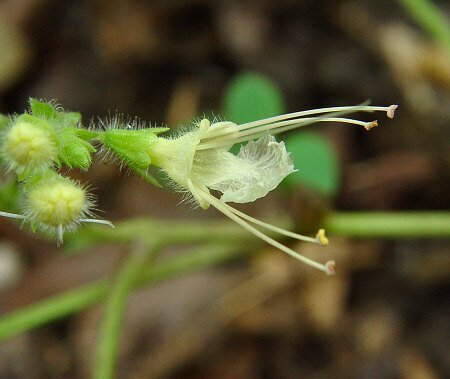 Other information - This species can be found mainly in the southern half of Alabama. 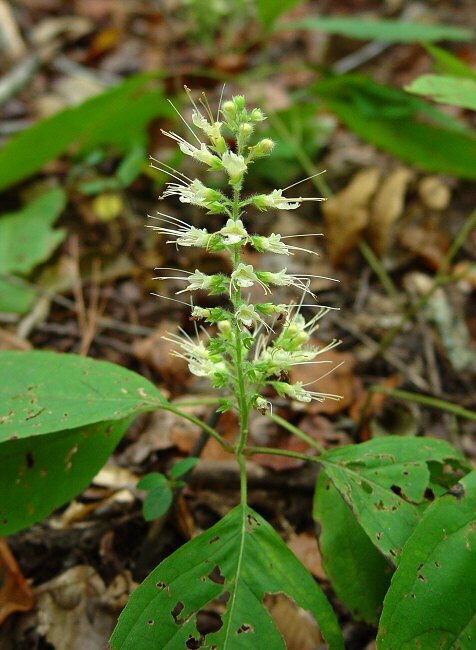 The plant can be identified by its long inflorescences, white flowers, opposite leaves, and lemon scent. 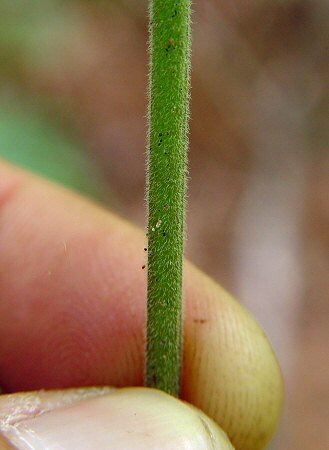 The leaves of this species are somewhat variable in shape but are always fairly thick. The genus name, Collinsonia, is named for Peter Collinson (1694 - 1768). Collinson was the Royal Botanist of King George III and an important friend and influence of the great American botanist, John Bartram. The species epithet of the plant, serotina, derives from the Latin "serotin" meaning "late" referring to the plants flowering season. Photographs taken in the Tuskegee National Forest, AL., 10-9-04.